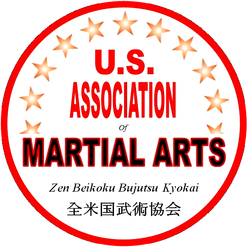 Welcome to the Official Website of the US Association of Martial Arts! Founded on the principle of brotherhood, our organization provides martial artists with an opportunity to network with like-minded practitioners in order to spread their knowledge and gain new experiences. Our members are exposed to national training seminars featuring martial artists from all walks of life and style, contributing the philosophy of Sogo Budo (complete martial path). As a sanctioning body, the US Association of Martial Arts provides its members with legitimate documentation with a strong foundation. 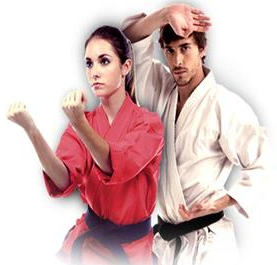 Our Board of Directors features over 100 years of cumulative experience in the martial arts, with stylistic backgrounds ranging from Kempo and Karate to Aiki Jujutsu and Judo. For more information about the various certifications we offer, please click here. ﻿In addition to providing certification to individual practitioners, the USAMA functions as an accrediting agency for schools and organizations. Our strict Code of Ethics ensures that schools and organizations certified by our association measure up to the highest standards of legitimacy, training methods and integrity. It is the official opinion of the USAMA that due to the lack of regulation in the martial arts community, too many schools open up without proper documentation and offer substandard martial arts instruction, thereby endangering their students and affecting the reputation of legitimate martial artists. It is the mission of the USAMA to raise the standards of martial arts instruction and promote legitimacy and quality training. Schools affiliated with the USAMA are considered to be the top echelon of martial arts schools in the country, and benefit from our educational marketing campaigns. To read more about our Mission, visit the "About Us" tab above or click here.